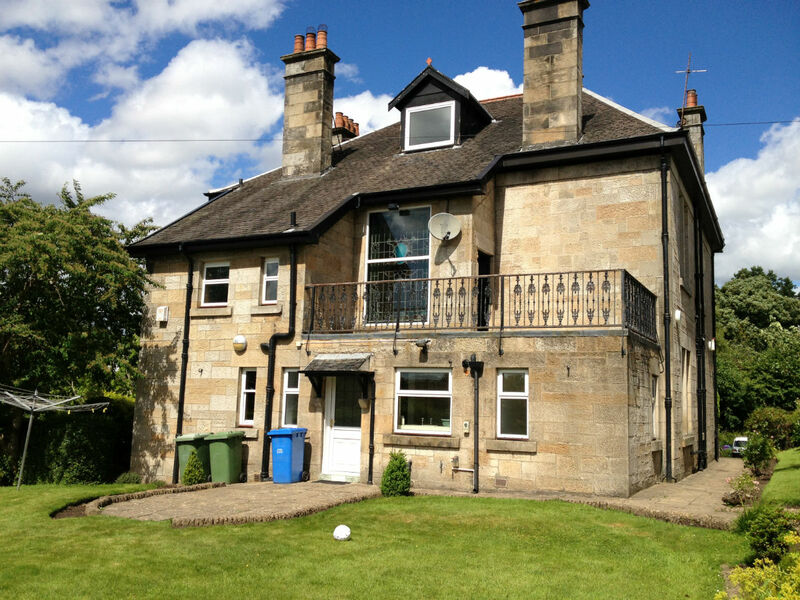 This impressive detached sandstone villa provides generous accommodation yet lacked a sociable heart to the home. 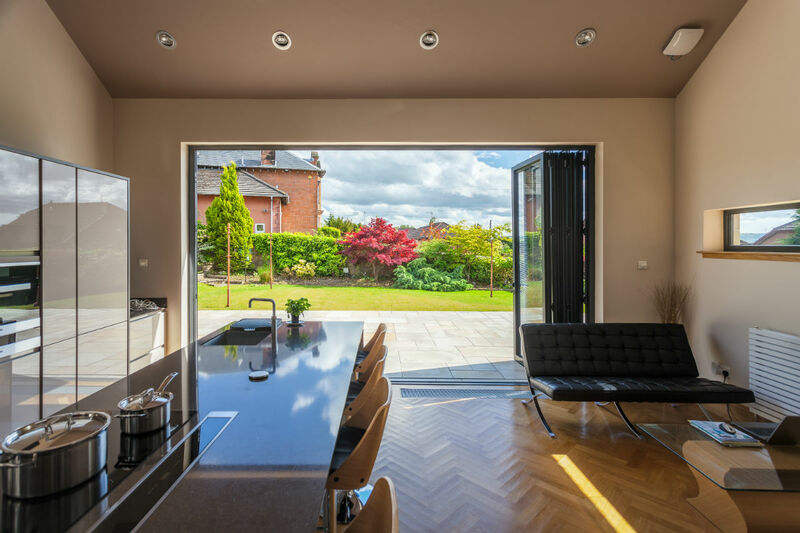 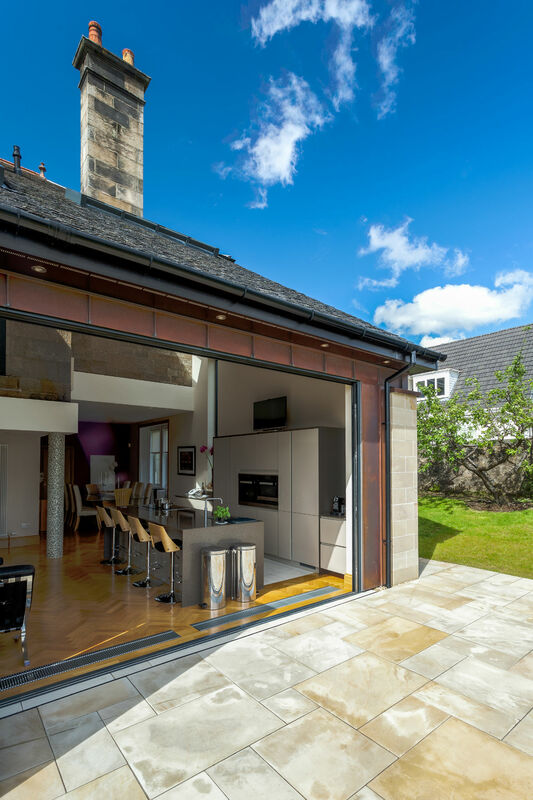 We set out to achieve this by opening up and extending the rear of the house to provide a new open-plan dining kitchen and informal living space. 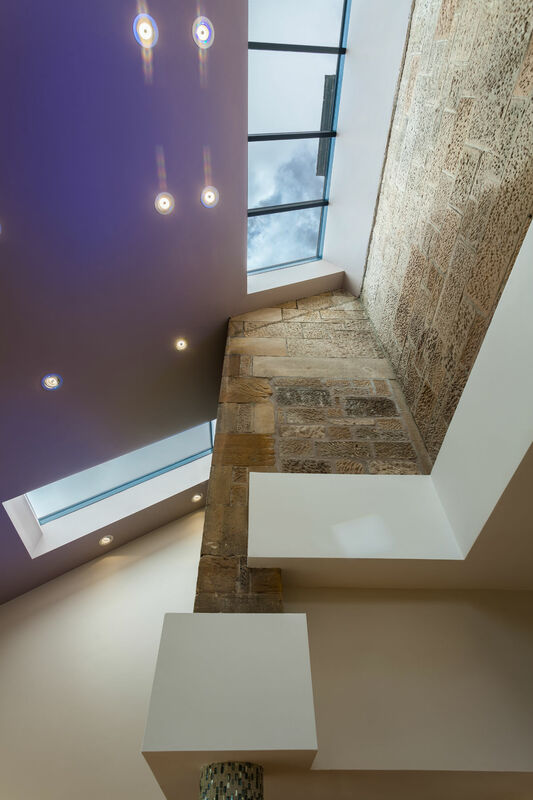 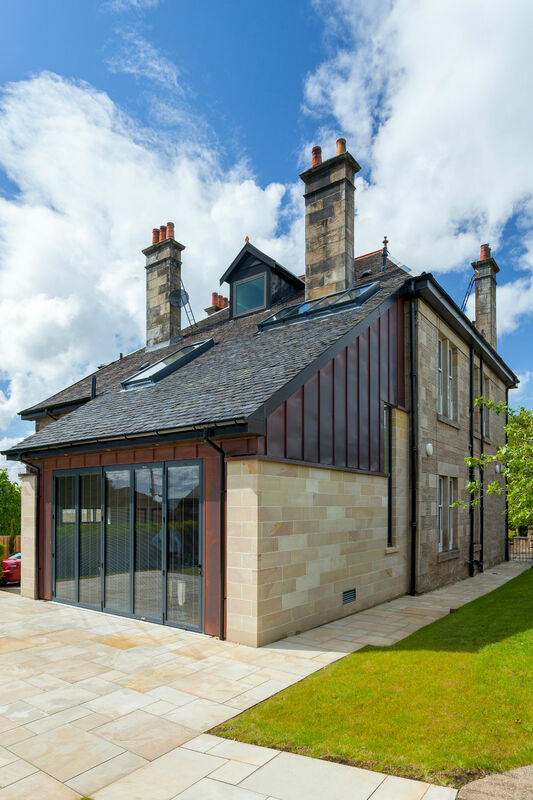 The client’s wish to retain an existing stained glass window at first floor level inspired us to extend the roof plane and expose the existing sandstone wall internally. 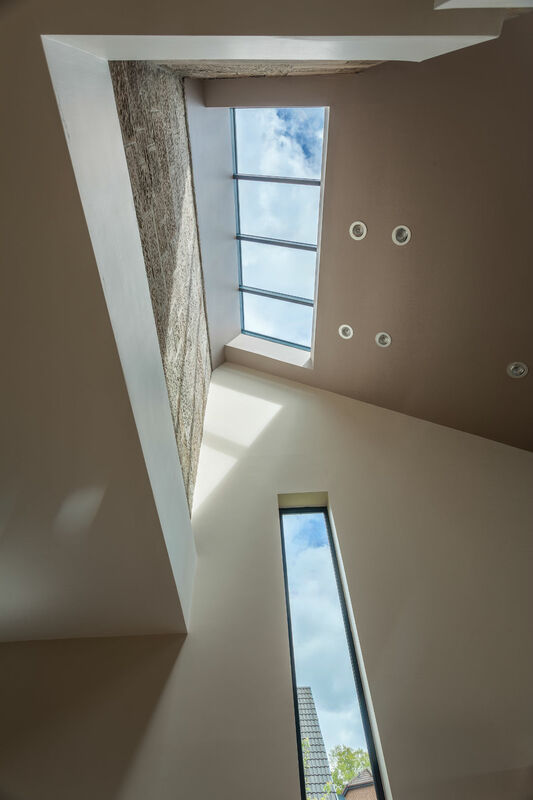 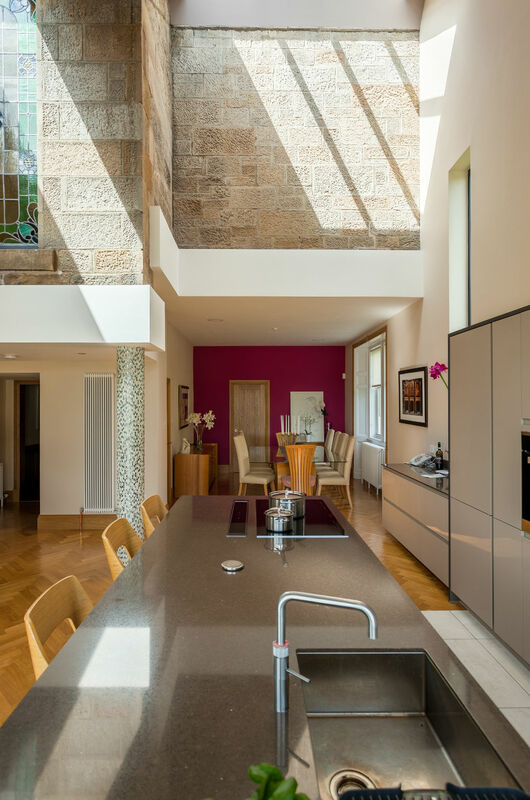 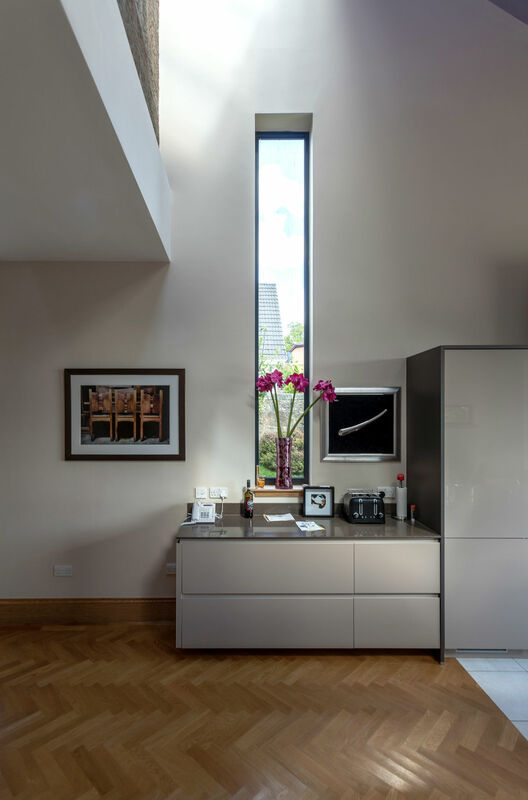 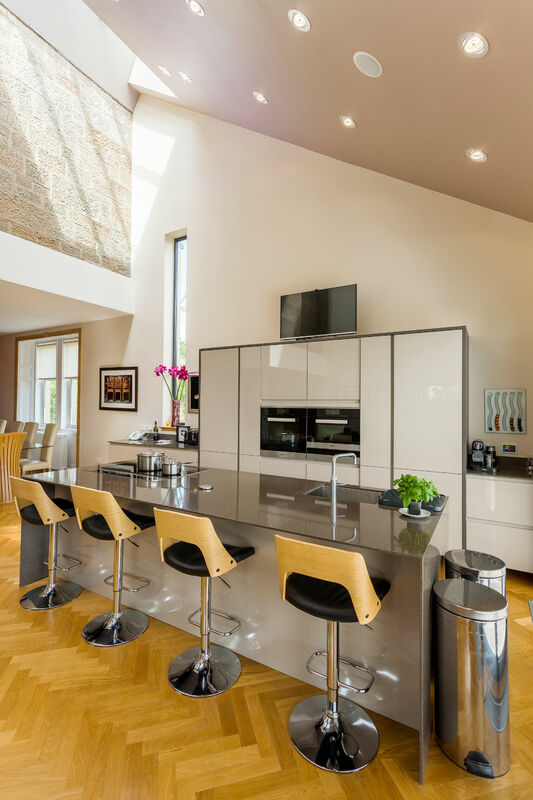 South facing rooflights provide a playful dance of sunlight, resulting in an inspiring light filled double height space. 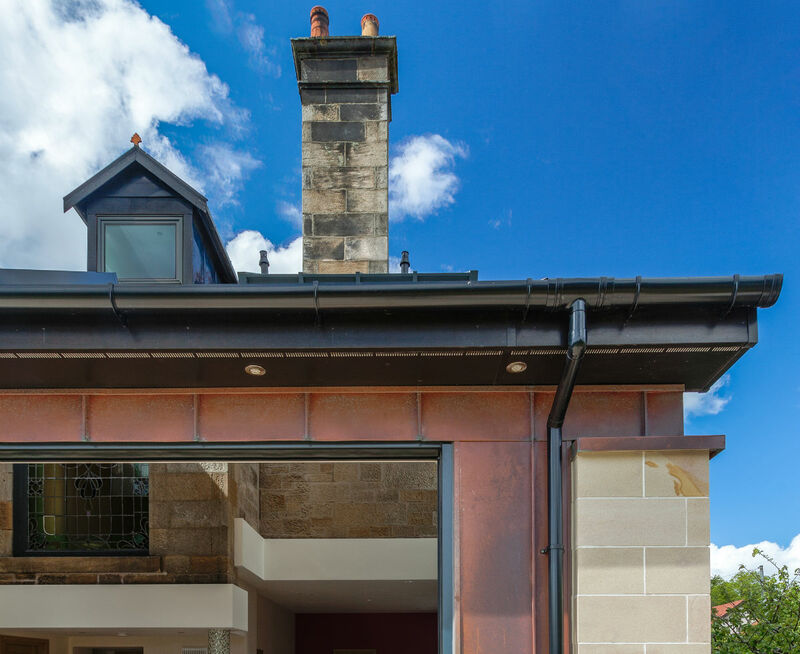 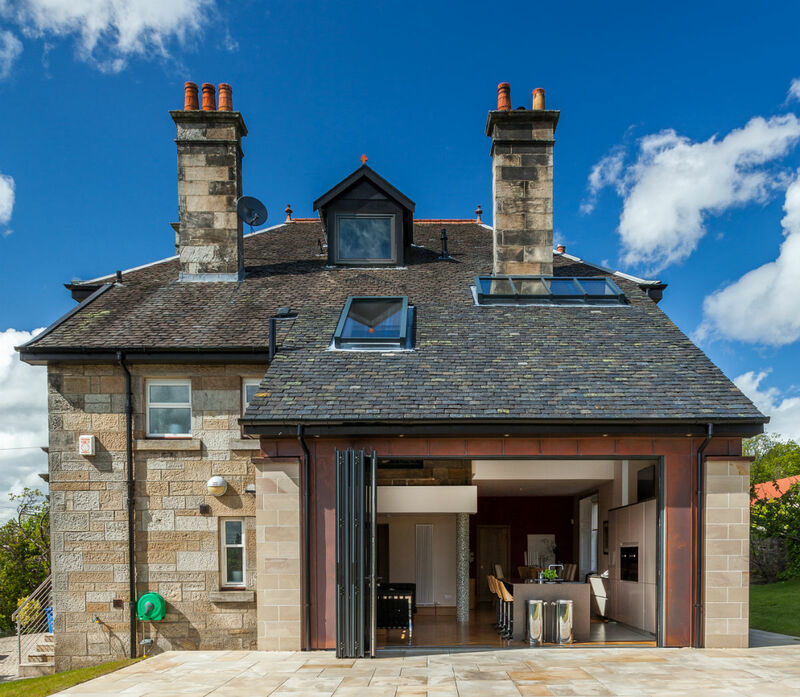 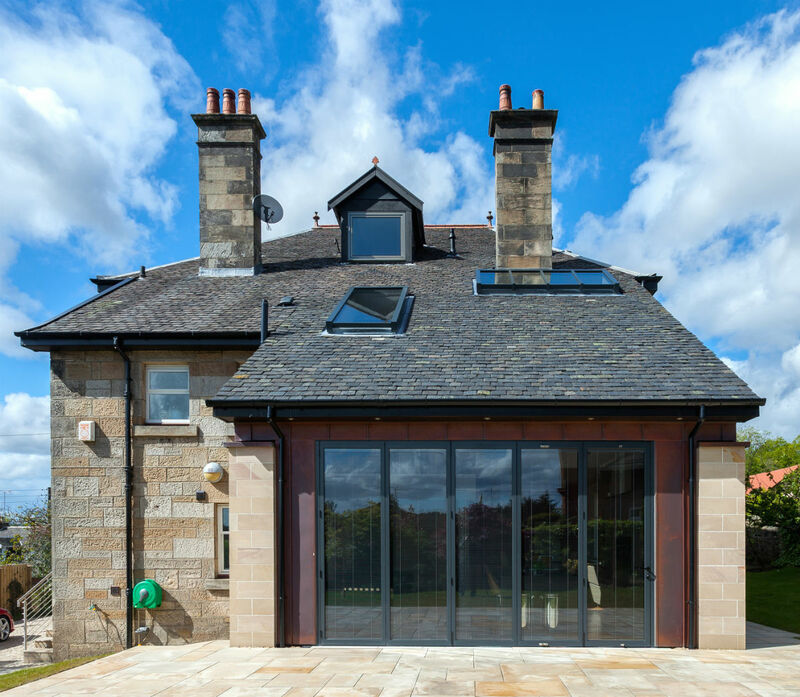 Externally, we have employed a simple yet elegant palette of natural materials including sandstone, copper and slate.